Mercedes driver Valtteri Bottas claimed his first pole position of the season and the 1000th in Formula 1 history. He qualified just 0.02 seconds ahead of his team mate Lewis Hamilton, with both using the soft and the medium tyres during qualifying. The top five on the grid tomorrow will all start on the medium compound. FIA President Jean Todt presented Bottas with the Pirelli Pole Position Award for this landmark race. The fastest strategy for the 56-lap Chinese Grand Prix is a one-stopper: start on red soft for 18 laps, then white hard to the end. The second-quickest approach is also a one-stopper, but this time starting on the yellow medium tyre for 19 laps before going on to the hard. Finally, there’s a two-stopper – but this is clearly slower. Start on soft for 15 laps, then another soft stint for 15 laps, and finally hard to the finish. After an extremely warm Saturday, tomorrow’s weather should be slightly cooler and similar to Friday, meaning that the teams can rely quite accurately on the data collected during free practice. -Starting tyres. 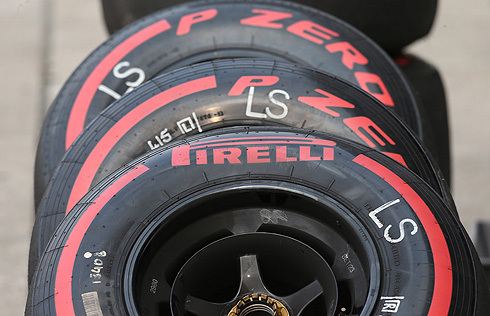 Both Ferraris and Mercedes, as well as the Red Bull of Max Verstappen will start on medium tyres, having used them to set their best Q2 times. - Mixed strategies. The frontrunners will be using what’s theoretically only the second-fastest strategy, which could have an interesting effect. - The front-left tyre. This is the one that’s most stressed around the track. - The weather. 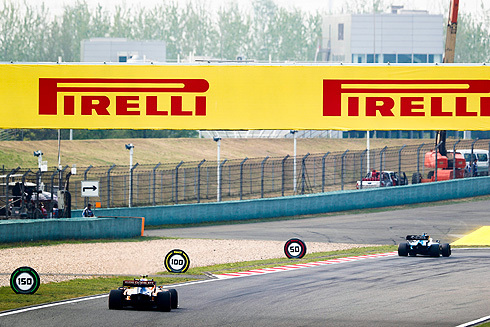 Today has been very warm, with track temperatures reaching 41 degrees, but in China conditions are famously variable. Expect warm weather for the race. - Alex Albon: the Toro Rosso driver didn’t take part in qualifying after his crash in FP3 so will start from the pit lane tomorrow. Alfa Romeo’s Antonio Giovinazzi also did not set a time in Q1 and so will start from the back. Both have a full allocation of tyres.